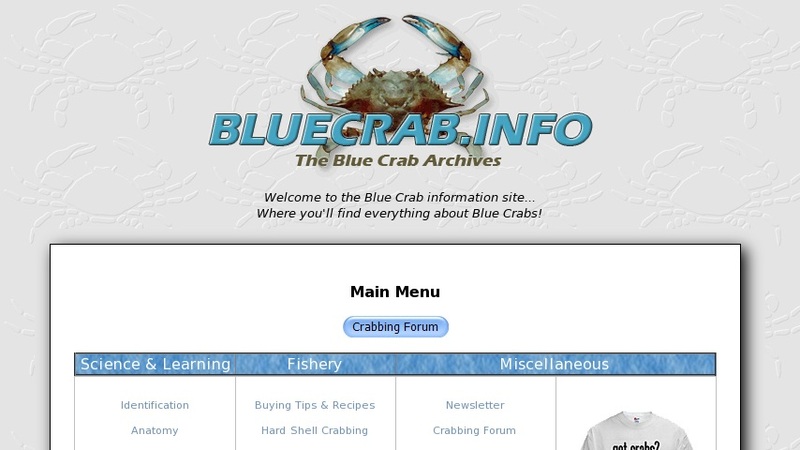 This easy to navigate and well-written site is packed with information and excellent photos about the blue crab (Callinectes sapidus) and its fishery. Biology section covers: species profile, anatomy, life cycle, reproduction, larval development, life cycle and more. Industry and trade section includes recipes and tips for catching or buying hard and soft shell crabs, and fishery information. Also offers news, discussion forum, links, a glossary, and reference lists.